1. 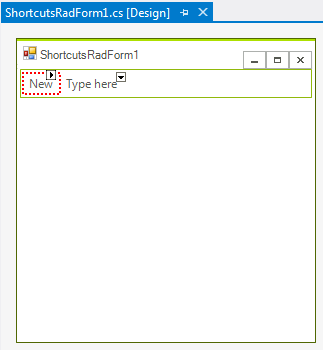 In a new Windows Application add a RadMenu to the form. 4. 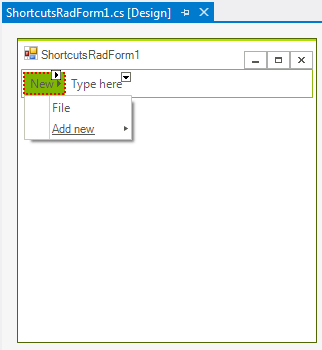 In the Properties Window locate the Click events for radMenuItem1 and radMenuItem2 and double-click them to create event handlers. 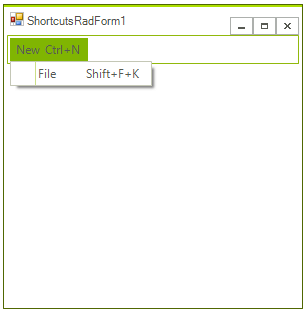 In the constructor of RadShortcut, you should first pass the key modifier as a parameter and then an array of the key mappings.